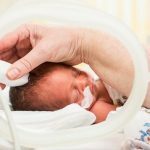 Newborn babies who need intensive medical care and treatment are usually admitted to a department or area in the hospital called neonatal intensive care unit (NICU). The NICU offers advanced technology as well as specialised healthcare to provide appropriate care for preterm and ill newborn babies. Baby stays for days, weeks or possibly longer, depending on the gestational age (number of weeks that a baby has been in the womb of the mother) and the health condition of the baby. 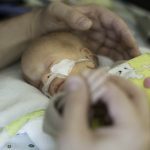 Being transferred to a NICU is often a shock to parents. Mothers and fathers are usually faced with the situation of suddenly becoming parents much earlier than expected. 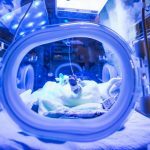 They may be overwhelmed by finding their child in a critical health condition and by the unfamiliar environment of a NICU. Parents need time, appropriate information, social and psychological support, and encouragement to cope with this difficult situation and to find their role as parents. The following content was last reviewed in August 2016.